Here's a great Garry Oak, one of the relatively remaining few, with two conical conifers behind. 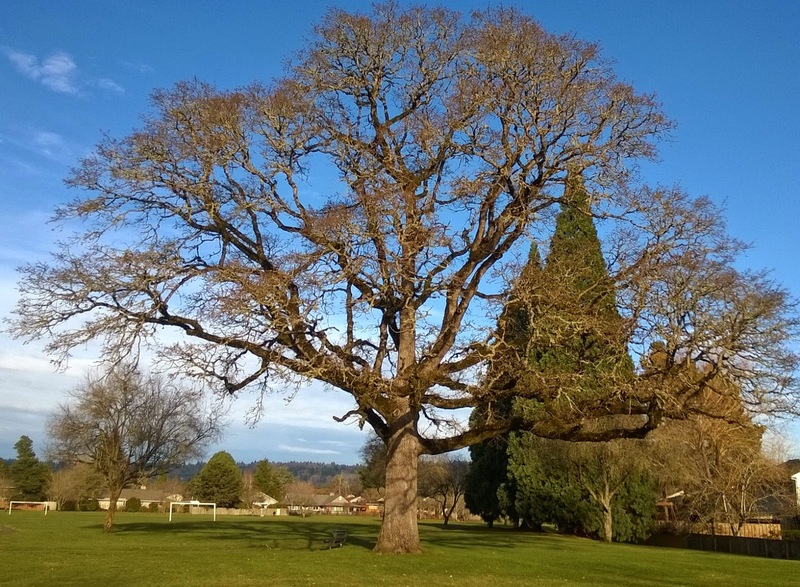 In the 1800's, vast savannahs of Garry Oaks dotted B.C., Western Washington, Oregon and California all the way to Mexico. More detail at https://www.facebook.com/pages/Growing-Green-Two-Ways/314000628742243.